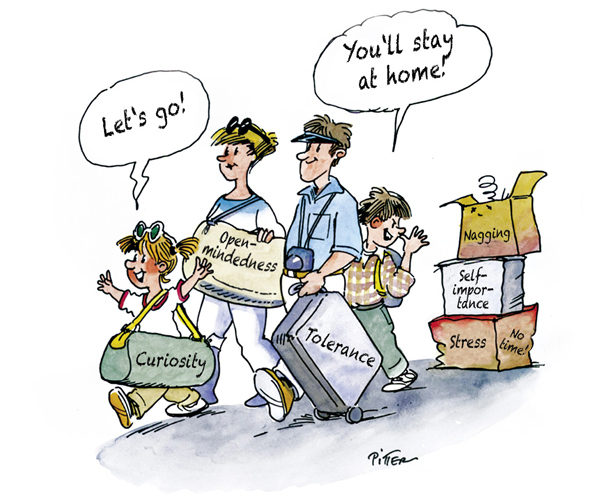 Appreciate the difference: travelling requires open-mindedness and tolerance. “Foreign” and “different" does not equal "bad". If impressions give rise to fear, you feel unable to cope with a situation or find fault with everything, you probably suffer from culture shock. Stay serene. Be curious and open-minded. Accept the differences and appreciate them. Be respectful towards locals and meet them on an equal footing. They are neither "exotic" nor "primitive". You will have more intensive experiences and thus benefit more if you focus on a particular region. Don't try to "tick off" whole countries or even continents. Less is more – you're on holiday, after all! Re-discover the term "to have plenty of time". Punctuality is a different concept in different cultures. Patience is a virtue – almost everywhere.